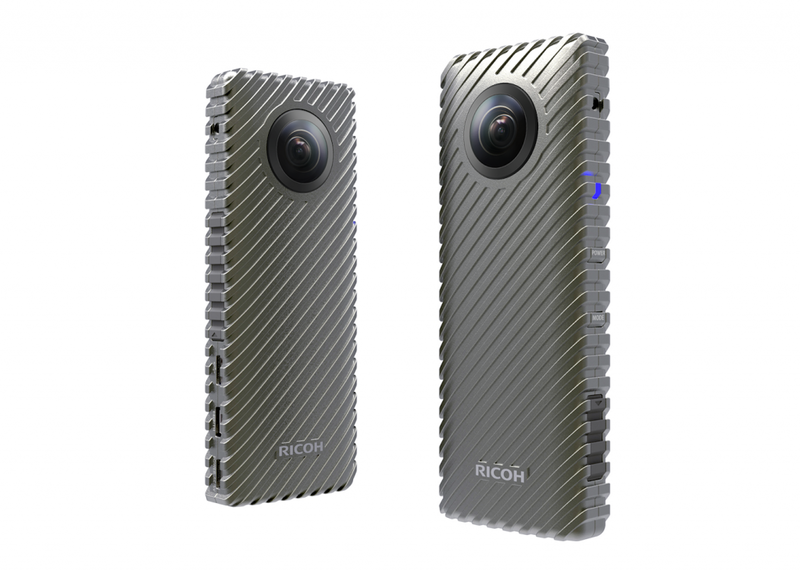 CES 2017: Ricoh R is a new 360 camera with nonstop 360 livestreaming. Ricoh announced a new 360-degree camera called the Ricoh R. It bears some resemblance to the popular Ricoh Theta but has a different purpose. The Ricoh R has 2k video @ 30fps and can livestream in 360 continuously for 24 hours. Videos are stitched in-camera, unlike the Theta, which requires videos to be stitched on a phone or desktop. Earlier reports said the video was 2k but I saw it at CES 2017 and they said the video is the same 1920 x 960 resolution. The Ricoh R has no internal battery and requires an AC adapter. This suggests that the Ricoh R is not intended as a consumer camera but as a camera for industrial use such as for security / surveillance, or for livestreaming special events. Thank you to Pepe Vasquez for bringing this to my attention!